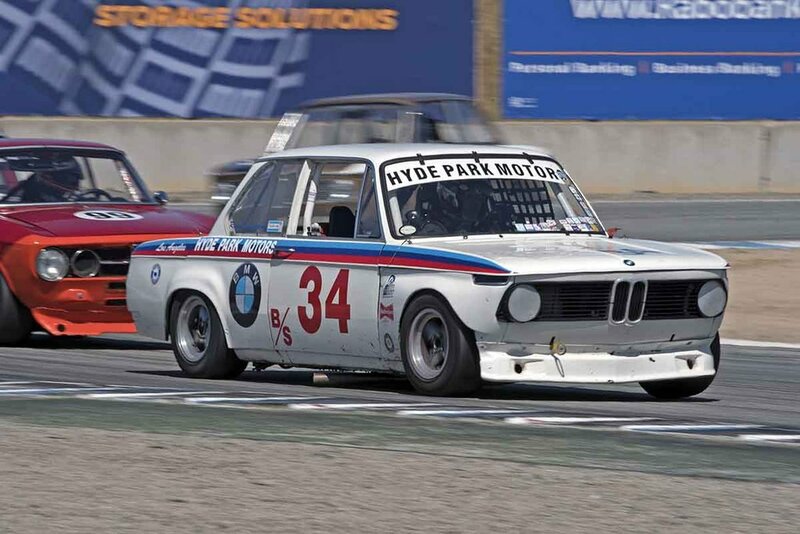 We had our first race last weekend with the M3 at the HMSA Spring race at Laguna Seca. Let me first give a big shout out to Pall, Luis, and Kevin for coming down and cheering us on. It was great fun to meet them and talk about all things M3! And if you haven’t looked at Pall’s Flicker album yet- don’t miss it. He got some really great shots of the car. This was my first time in the car and I always approach a new car with the idea of just getting comfortable with it, the controls, the feedback its giving me, and making sure everything is operating nominally. Saturday morning was cool and damp. The track was dry, but off-line there were damp patches. I used the first few laps of the session to just get comfortable in the car and to build a little heat in the slicks. I also needed to scrub the mold release off their face. My first race with the new M3. What a sweet car! After a few laps I began to build up my speed. The gearbox in the car is pretty amazing. It is a Getrag 265 case with Samsonas innards. The cluster features straight cut gears and it has a dog ring so the clutch is not necessary once you are moving. I chose to use the clutch for now so as to not add another complication to my learning the car. Later I’ll work at shifting w/o the clutch. The gear throw is VERY short; just a flick of the wrist and you’re in the next gear. Really sweet. 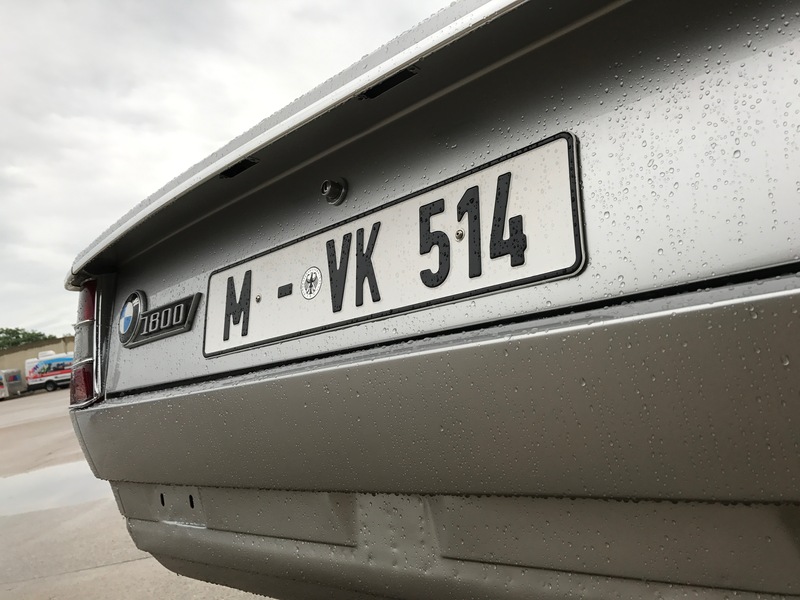 The car felt very neutral and I kept having to push myself deeper into the corners before braking as they are much more effective than any of my other cars. Saturday afternoon the rains came. It started just as I was sitting on pre-grid for the qualifying race with my 2002. By the time our race was over there were puddles starting to form on the track so I decided not to take the M3 out. Sunday morning was sunny and warmer. I took the car out for the morning warm-up session. The second time in a new car is always better. I feel like I at least know more what to expect, plus I am more comfortable with the steering, pedals, and shifter. So I turned it up another notch. As I began to push the car harder it began to show more of its personality. The first thing I noticed was a little bit of under steer on turn in. As I reached the apex and added power the car instantly neutralized and came off the corner like a freight train. There are in cockpit adjustments for the sway bars and brake bias. I will begin exploring those later. I have left them at the settings the previous owner recommended. The engine in the car is great. It dogs below 4500, which you would expect. Once you reach 5500 it really comes alive and pulls hard up until the red line. I was choosing to shift at about 8000-8200. red line is marked on the tach at 8500. I was gridded for the feature race in 4th behind 2 2018 Porsche GT3 Cup cars, and a 1990 Olds tube frame GTO car. How did we get 2 brand new GT3 Cup cars on the grid of a vintage race? Good question. I asked but never got a straight answer from HMSA. I’m guessing the reason was financial. There was also a 2012 GT3 Cup car in the field. He was gridded at the rear of our group because he didn’t have a qualifying time. As the 2 GT3 Cup cars sailed off into the distance I chased the GTO car. I decided I would just follow him and keep him honest while I was still learning the car. My best lap was a 1:40, about 2 tenths quicker than the GTO’s best lap. A few laps into the race the other GT3 Cup car came forward and passed us both so I finished 5th overall, but 2nd in the ‘vintage’ class. Old reliable slogs through the rain to a 2nd place finish in our qualifying race. 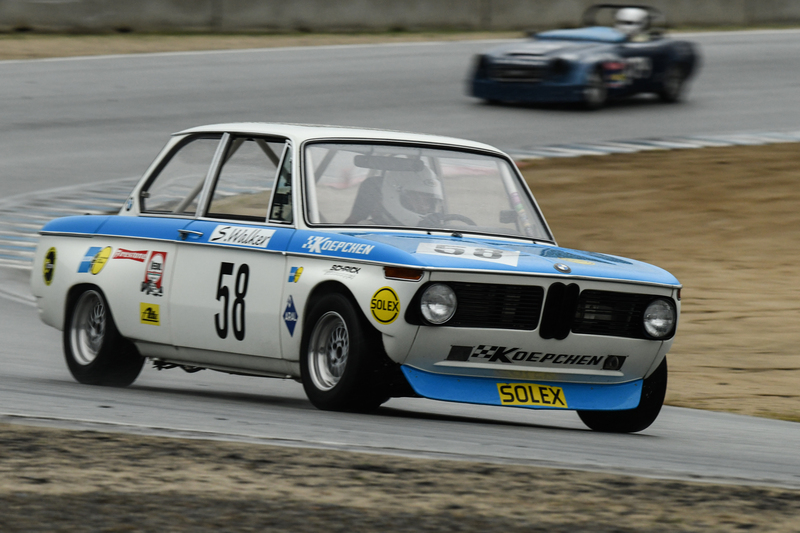 I also raced the Koepchen 2002 in Group 4. The car was just plain ripping all weekend long. We had the new Ivey engine in the car and it performed very well. In Saturday’s qualifying race I had a great dice with Dennis Racine in his yellow Mini. I was finally able to pass him in Turn 11 on the last lap to finish 2nd. In the feature race I was able to pass the lead Datsun 510 going through Turn 2. He missed a shift going into Turn 5 and I opened a lead on him that I was able to keep throughout the rest of the race. My best lap was a 1:49.7. 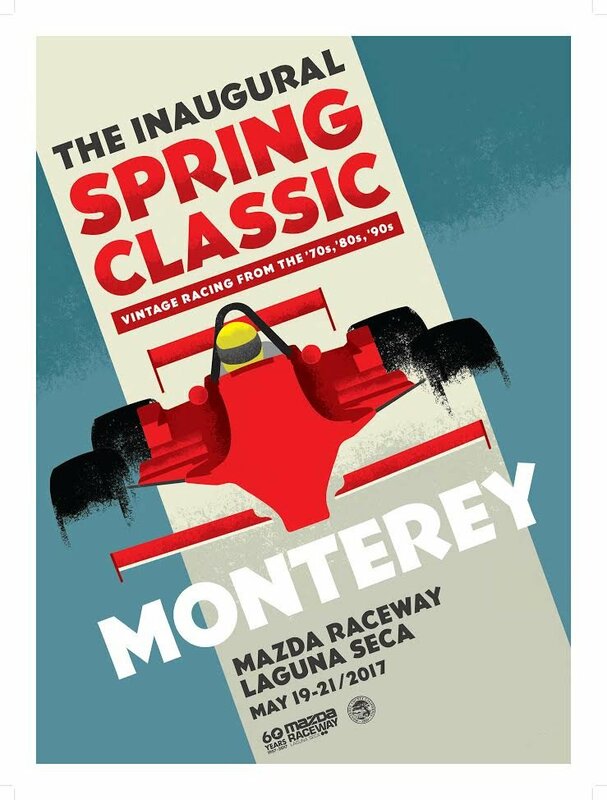 The best I have ever done in the 2002 at Laguna Seca. Looking a little like a Corvair, these cars have many similarities with their US cousins. Along with BMWs and MBs my father’s dealership sold NSUs. So when I started racing he suggested I find the holy grail of NSUs, a 1200 TTS. I found one for sale in NJ and went with my friend Peter P. to collect it and bring it back to MN. NSU was an old manufacturer. They began in the late 1800’s as a knitting machine manufacturer. Soon they became a bicycle manufacturer, and then in the early 1900’s began making cars and motorcycles. After the war they continued making excellent motorcycles, winning races in Europe and setting many speed records at Bonneville. Their cars were small, but of high quality, and were also quite successful on track. Their most successful model on the track and at hillclimbs was the TT and its successor the TTS. These cars came as 1,000 ccs and 1200 ccs, and were named for the race where NSU had had such success, the Isle of Man TT races. 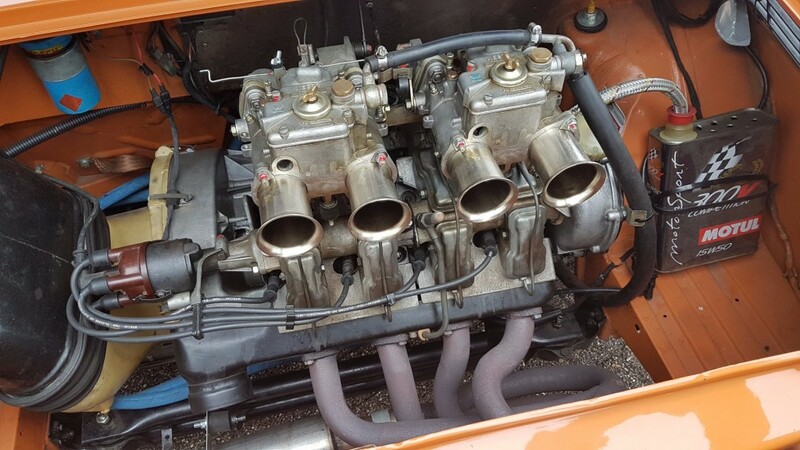 Power comes from a 1,200 cc 4 cylinder, OH cam, air cooled motor derived from their motorcycle engines. In the late 1960’s they developed a Wankle engined car called the Ro-80 that was a marvel. It was a beautiful design, but the engine proved unreliable, and the warranty claims put the company in jeopardy. VW/Audi took over the company in 1969 and the NSU brand disappeared. 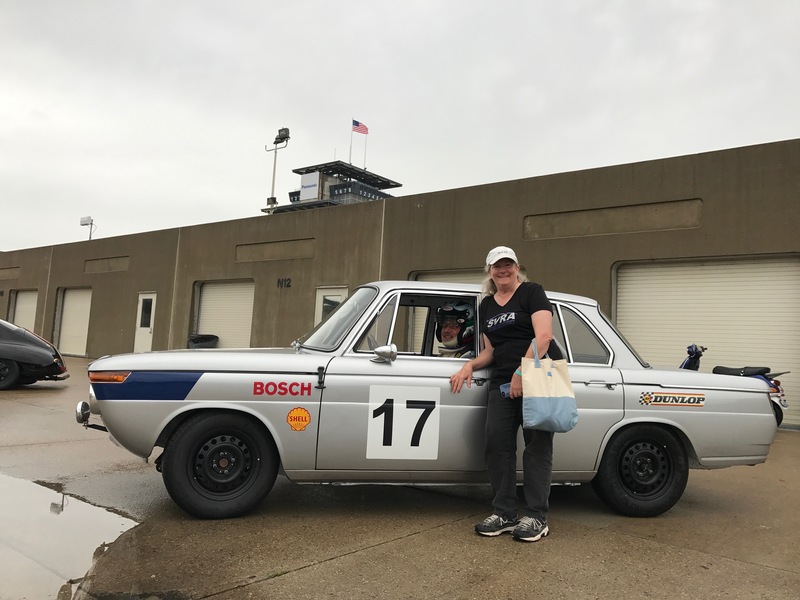 I ran my TTS in a few auto crosses in the fall of 1969, setting several FTDs, and then raced it on the Ice in the IIRA series in 1969 through 1971. I never got a chance to race it on a track because I sold it and bought a Mazda RX2 to race in 1972. The question of how well these cars go has always rattled around in the back of my empty skull, so I decided to take steps to find out before I was too old to care. Here are some pictures of my latest acquisition. It is a 1970 1200 TTS. It has a OH cam 4 cylinder air cooled engine, sitting on a 4 speed transmission. And no, I will not be doing any bump drafting with that oil cooler hanging out there. It has independent suspension all around. Up front are unequal length arms, with coil springs and a sway bar. In back are swing axels locate by trailing arms, with coil springs and shocks. 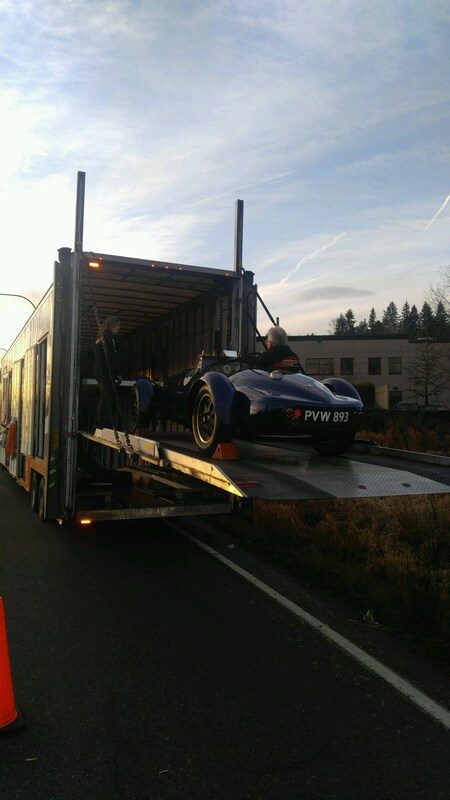 I found the car in the Netherlands, and it is on its way via ship to Seattle. No Baby Corvair jokes please. Stay tuned to follow the adventures of this little Bad Boy! My new E30 M3 arrived on Friday February 2nd from Australia. 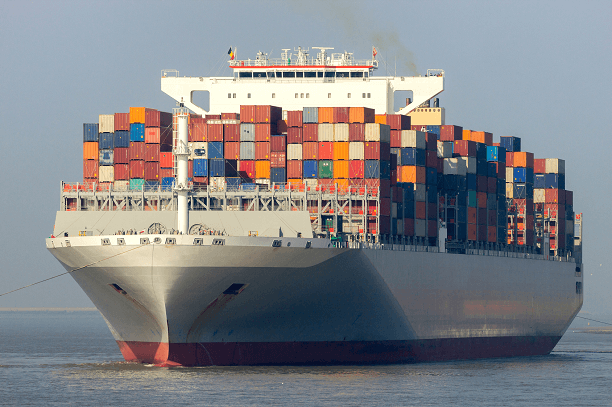 It was loaded in a 20 ft. container and shipped up to Seattle, with stops in Aukland, Fiji, Honolulu, and Vancouver B.C. Jim Froula, from Racecraft, met us at the shipping company’s office with a trailer. It was quite a thrill to walk back into the warehouse and find the car sitting there ready to go. The car is beautiful! It is nicer and better prepared than we had imagined. Hats off to Eric Bowden and his crew. 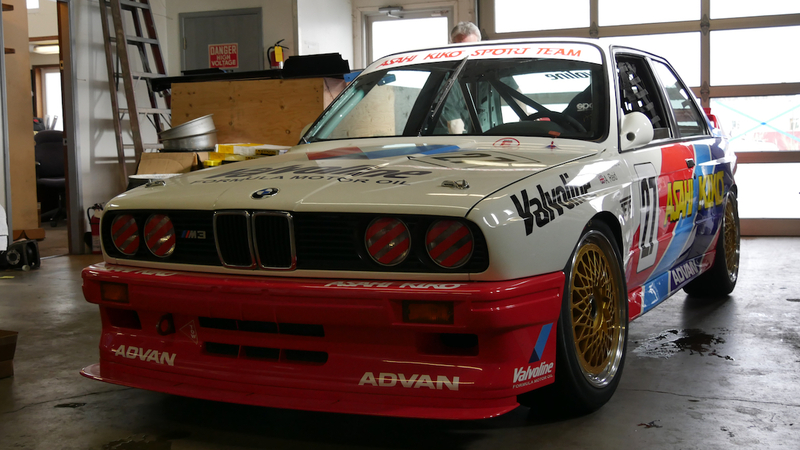 My new E30 M3 sits in the Racecraft shop after we picked it up. 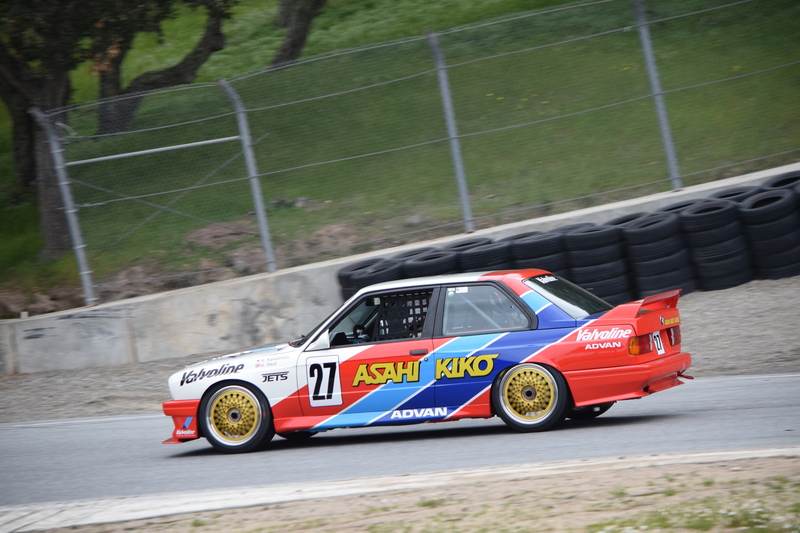 This car was raced in the Japanese Touring Car series from 1988 through 1993. It raced for 4 different teams during those years. Its most successful year was 1993 when it powered Anthony Reid to 3rd in the drivers’ championship. 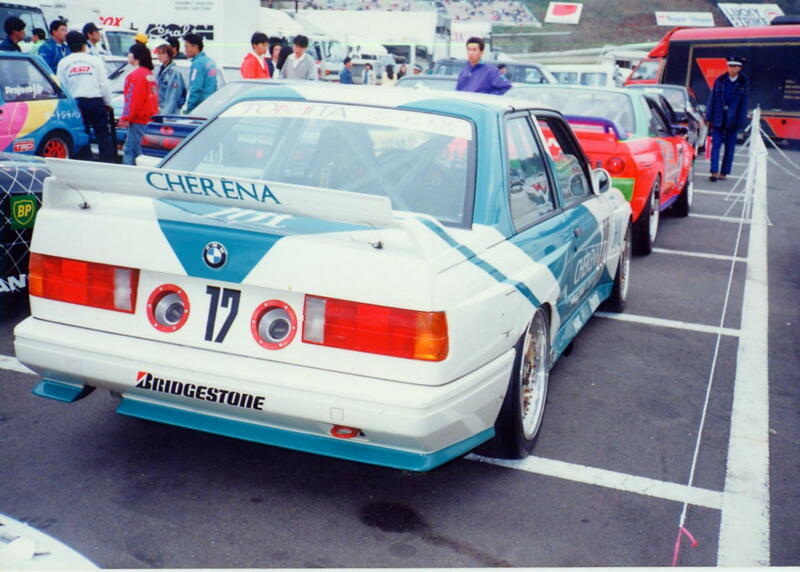 In 1991 the car was raced by the Cherena Team in this striking blue and white livery. Following its time in Japan the car went to Malaysia for a few years before coming back to Switzerland where it ran some hill climbs. 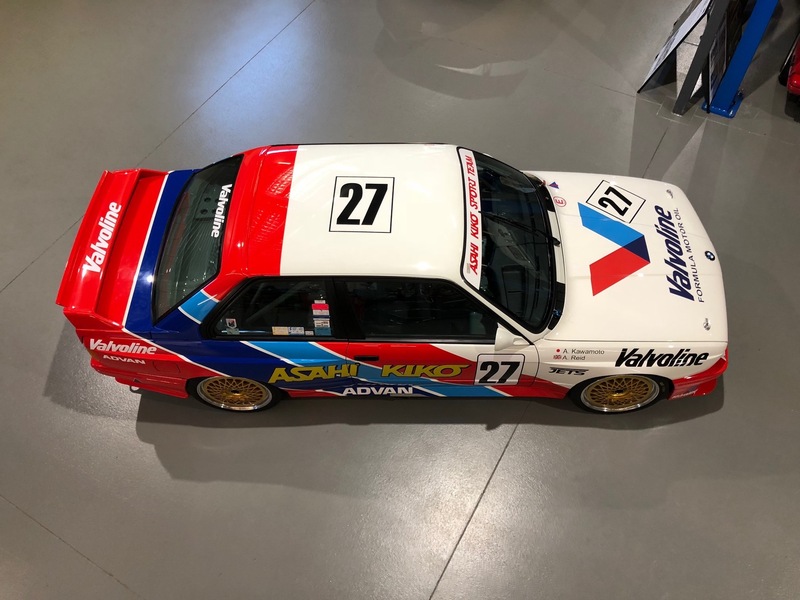 It then sat for several years before going back to Australia where it underwent a complete restoration back to its 1993 red/white/blue Valvoline livery. I am very excited to get the car on track. From the in-car videos I’ve seen of the previous owner racing the car down-under it looks to be fast and fun! In July we took the Chevron and Luigi to Road America for the 2017 edition of the Weathertec Challenge. One of the highlights of this event is the race car parade and concours on Friday night in downtown Elkhart Lake. The folks really turn out for this event with the route lined 4-6 people deep all the way into town. I accept the “Best in Class” award for Group H.
We entered Luigi and were rewarded with a win in Group H! Unfortunately this was the highlight for Luigi as well. On the way to his qualifying race on Saturday he stripped his oil pump drive belt. We had another one on the truck but Jim and Terry were worried about internal damage to the engine so we parked the car for the weekend. Unfortunately Luigi had an engine problem that kept him from racing. 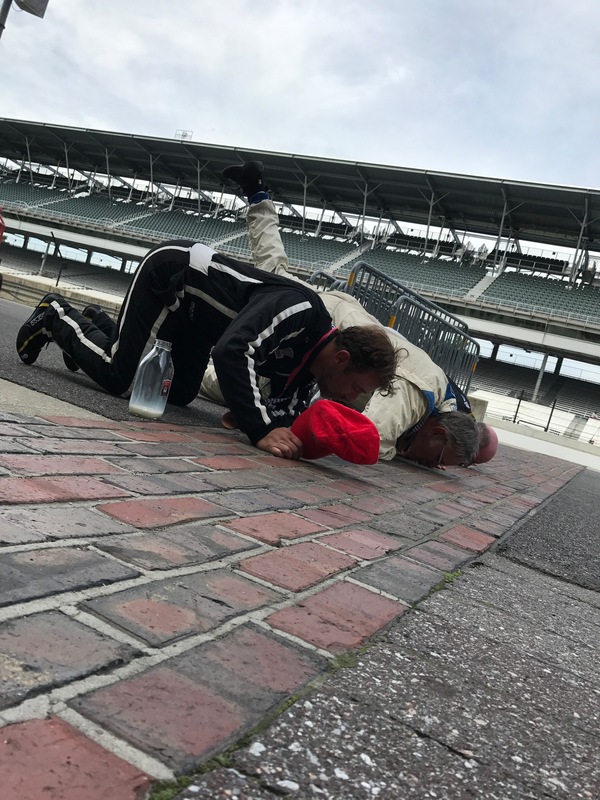 It is too bad because on time he qualified 14th in a grid of big block cars. It would have been fun to race him and see ho he did against the Corvettes, Camaros, and Mustangs. The Chevron went very well. Was able to finish 7th in my group of sports racers with a best lap of 2:33 and change. The Chevron did well against much more powerful cars. The opening lap of my race was hairy! 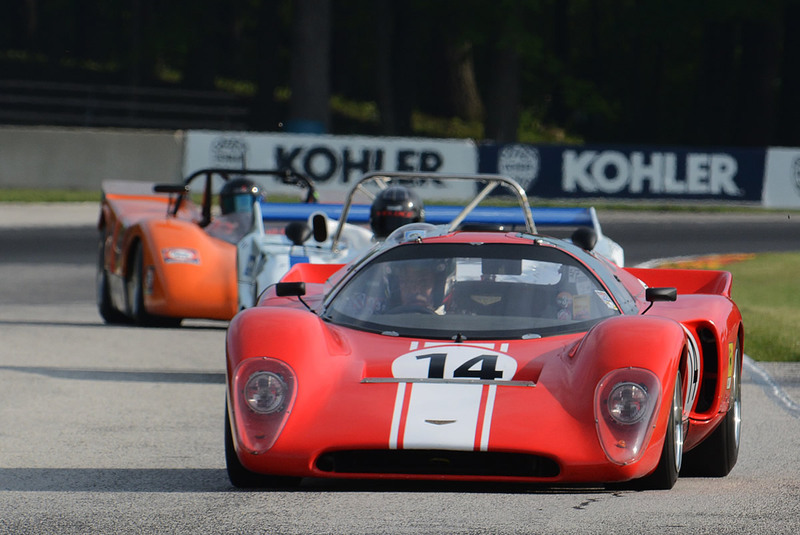 A couple of the GT-40s got together going into Turn 1. They hit the car in front of me, and the car behind me, but I managed to squeak through. Here’s the video from the weekend. Goodby Dorothy. You will be missed. With the recent sale of Dorthy, my Chevron B16, a space was opened up in my garage. For some time I have been looking at ex-DTM M3’s, but they have become scarce and very expensive. 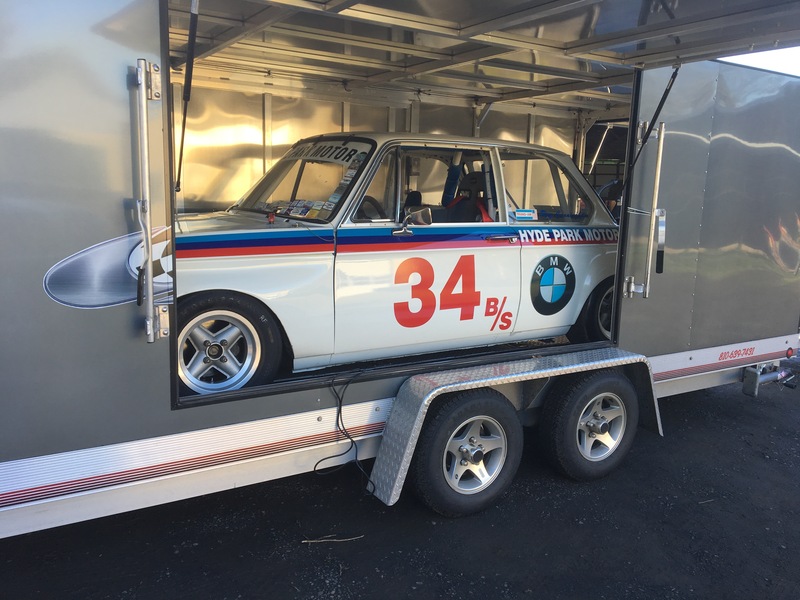 About a month ago Jim Froula from Racecraft sent me a link to an ex-JTCC E30 M3 in Australia that was for sale. The car was spectacular, and had the exceptional history that I prefer. The price was well below a comparable DTM car, so I made the purchase. 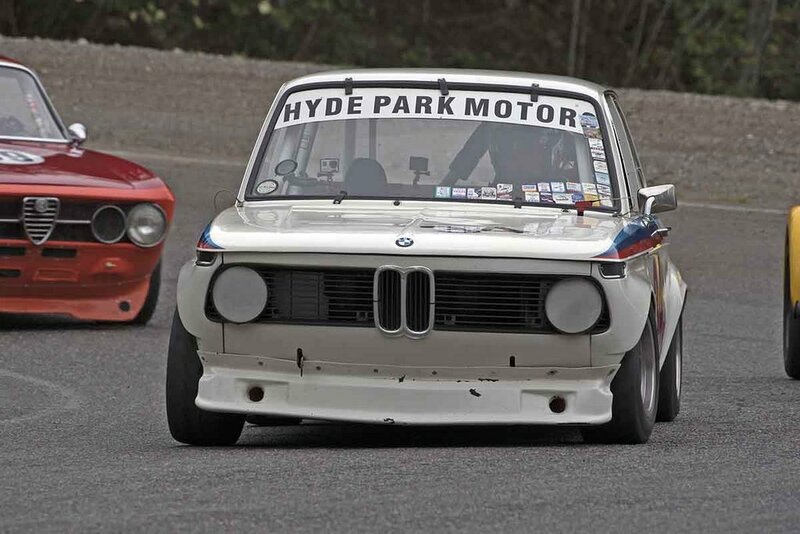 In 1987 BMW produced what is the most successful racing / touring car of its type – the M3. During its 5-year reign it achieved 1436 victories and continued to dominate well after 1992, winning races in the Group A’s events in Europe, Japan and Australia. 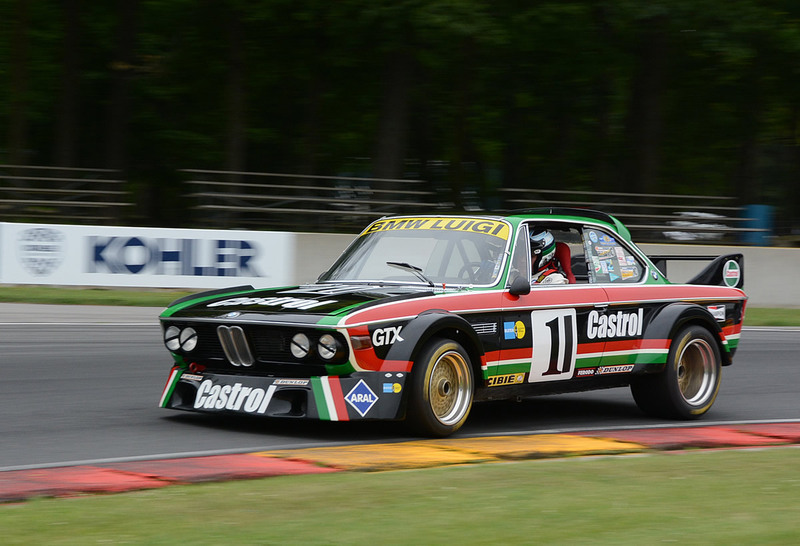 In all 260 cars were produced in Touring Car trim, which could race in Group A, DTM and Group N. An additional 40 – 50 rally cars were also built. 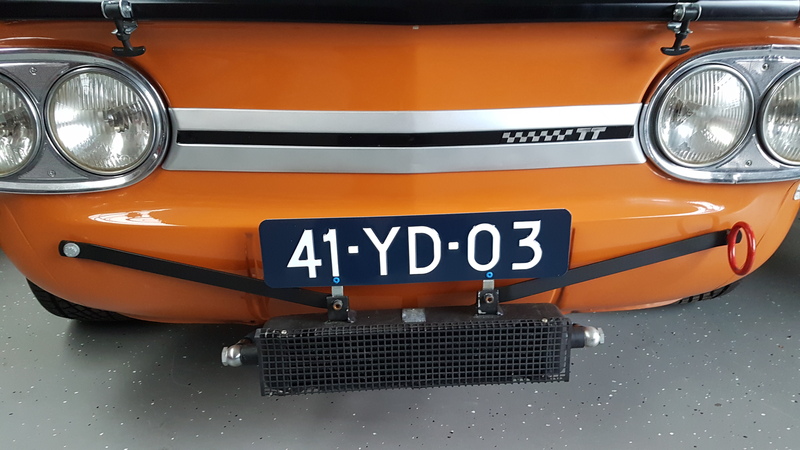 The M3’s were built for the express purpose of winning the European Touring Car Championship (ETTC), but were rushed into production to challenge for the World Touring Car Championship (WTTC). In the first race at Monza in 1987, M3’s filled the first 6 places but were later disqualified for running what was known as ‘cheater panels’. The success made everyone sit up and take notice especially the Ford Motor Company who were campaigning some fast RS500 Sierras and were determined to win the WTCC. 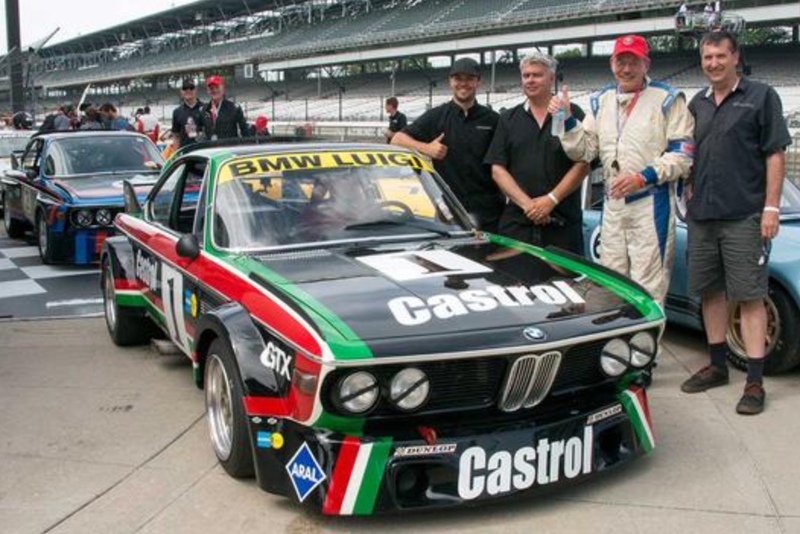 The racing that year was close all season and battles were order of the day right down to the last race with the Schnitzer M3’s of Charlie Lamm, just beating Ruedi Eggenberger’s Texaco Sierra, BMW only just taking the title. BMW were still considered the underdog and they were aware that they needed to do something special if they were going to keep in front of Ford’s RS500 Sierra, hence the ‘Evo’ (evolution) label was added to the M3’s various improvements. These included more grunt from the engine, better aerodynamics, lighter body panels and more amenable driving positions. The ultimate Evo package was developed in 1990 for Group A cars. At that time Australia had created their own Group A, as had DTM. Japan, however, stayed faithful to the original Group A concept and followed FISA (FIA) rules for racing. The reason why is not too clear and could have been for many and varied reasons, after all Nissan (for one), had spent an absolute fortune developing the R32 GTR which dominated Group A. Whatever the reason, the ‘golden age’ of Japanese racing saw tracks filled with BMW, Ford, Honda, Mazda, Mitsubishi, Nissan, Toyota plus the occasional Mercedes 190E joining in the fun. 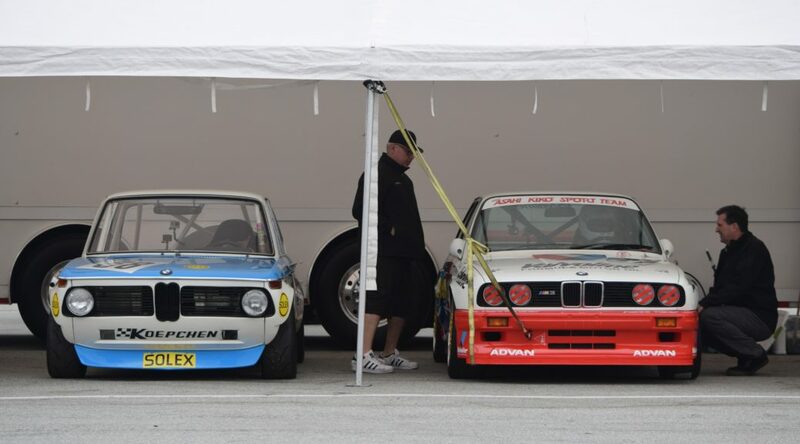 Middlebridge Racing purchased two of the top spec EVO BMW M3’s and prepared them to run in the 1993 season of the JTCC. Chassis M31 / 60 was campaigned by Anthony Reid, who was a well known stunt driver, BTCC contender and British Land Speed record holder. 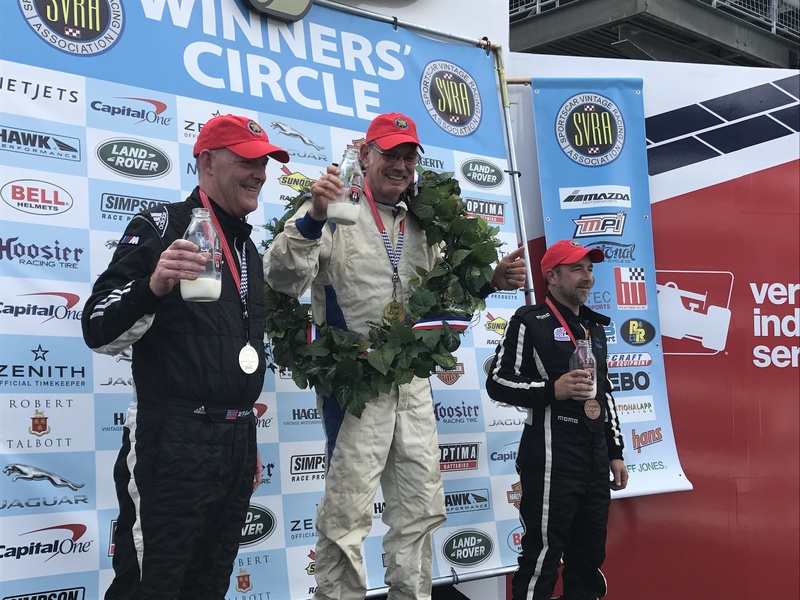 Anthony also managed to get on the podium at the ‘Le Mans 24hr’. 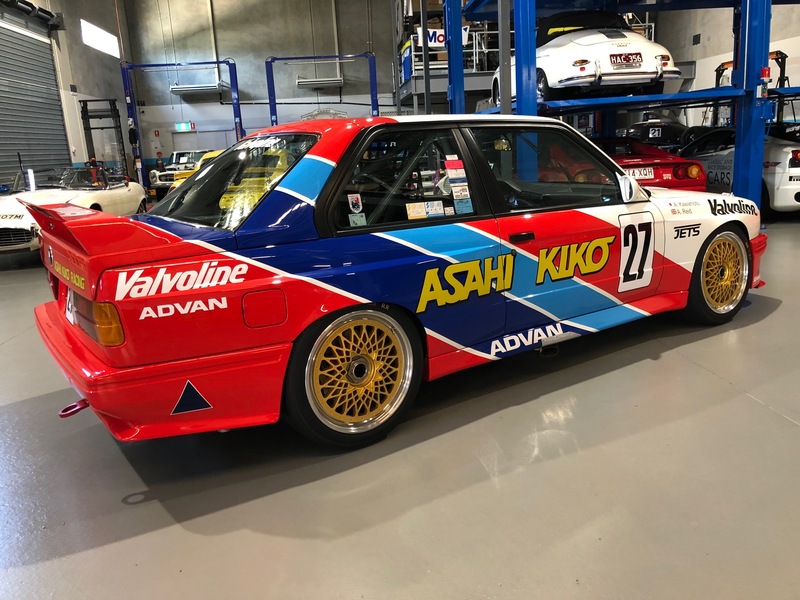 His 1993 JTCC campaign was backed by Tomei Sports, with Asahi Kiko and Valvoline sponsoring him in what was the last and most exciting year of the JTCC Group A. 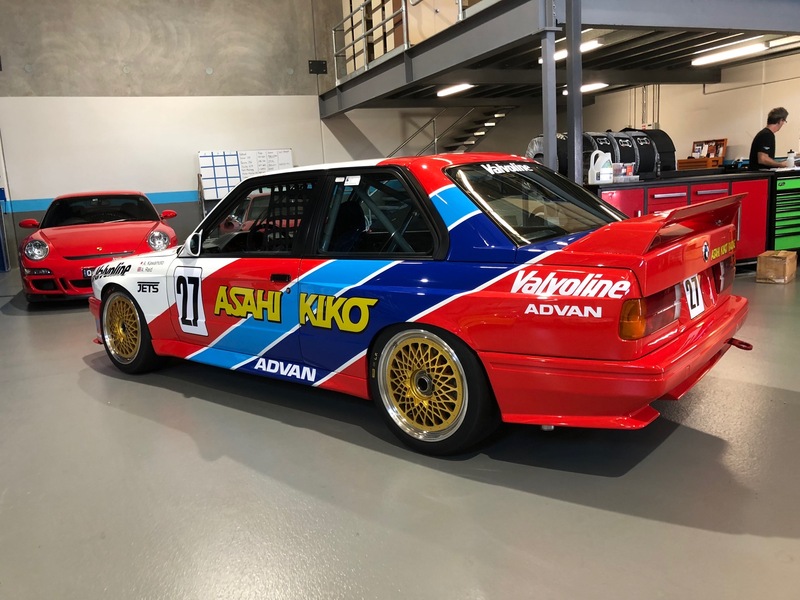 The car was painted in Valvoline’s corporate colors and had all the latest Evo upgrades. 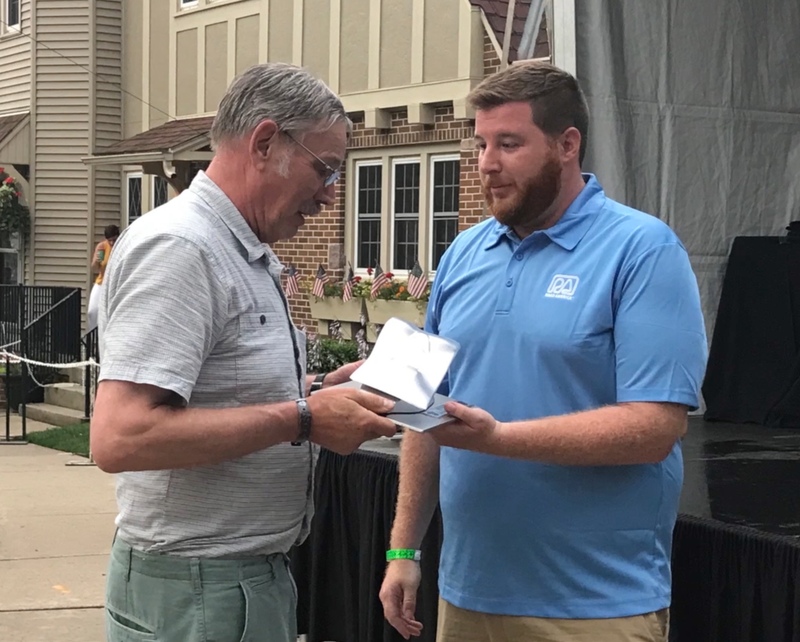 Reid achieved many podium places, including a win in round 5 of the JTCC at the Ti Circuit Aida. 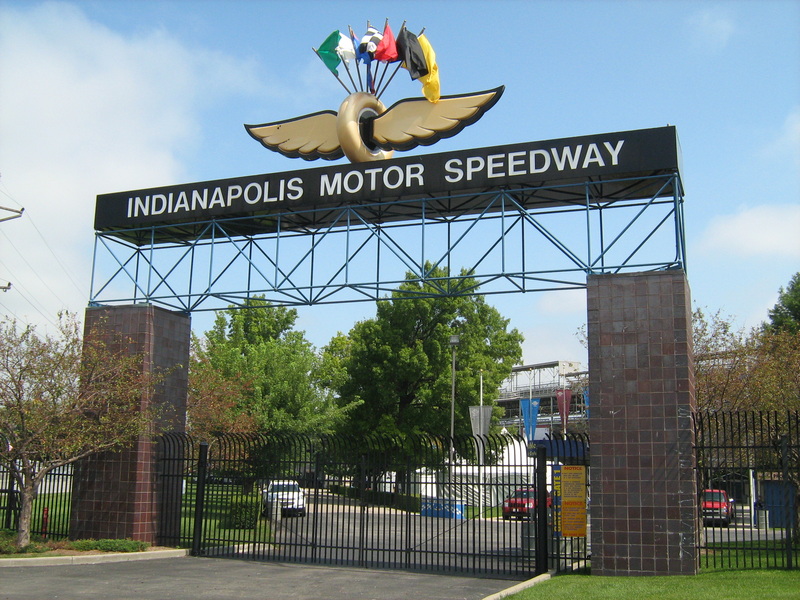 At the 1993 season’s end, Reid was in second place behind the Auto Tech M3. That was the end of that particular racing class, and the car was bought by a businessman who continued racing it in the Valvoline livery. Valvoline requested that he changed the paint as he was clearly no Anthony Reid. 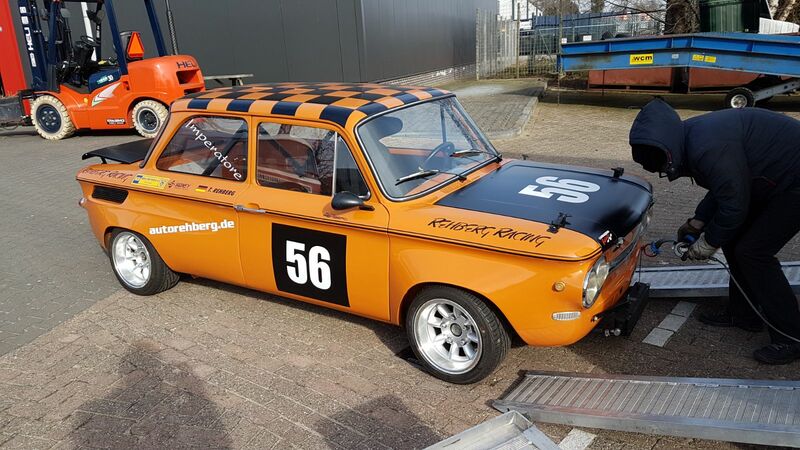 The car was then bought by a Swiss racer who used it in hill-climbs back in Switzerland. 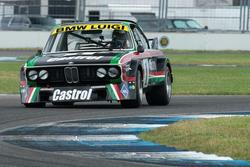 It was later sold on again to Classic BMW-expert, Alex Elliot, who sold it to Australian, Adrian Brady. Brady, who had a number of special BMW’s, sold it on to its current owner, Ecurie Bowden. 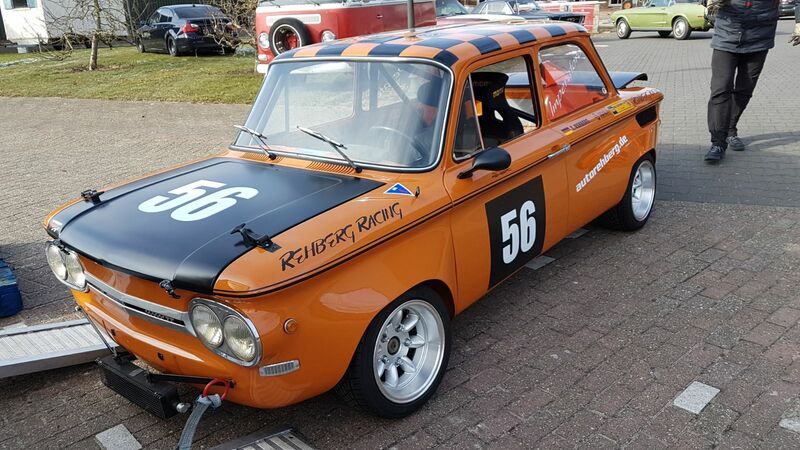 The car was extensively restored over a 12 month in 2011 and in its racing debut in 2012 came 3rd in feature race at Muscle Car Masters. 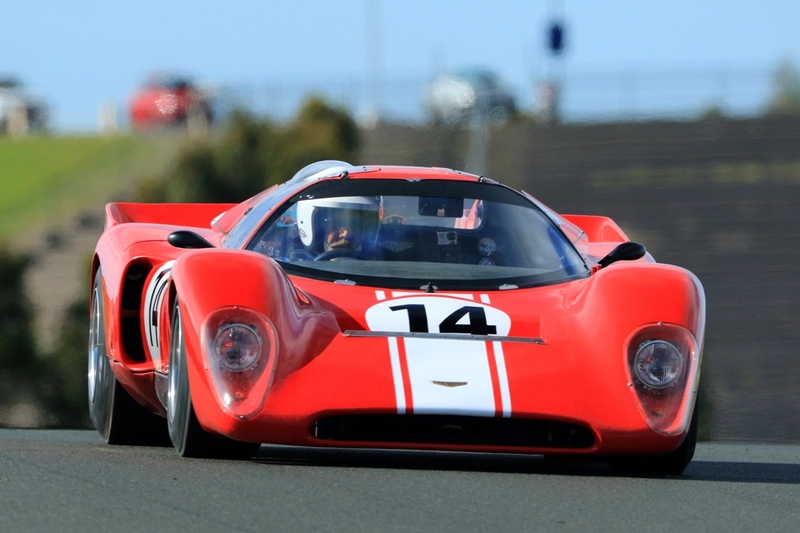 It has been raced in the Australian Group A Historic races since. The car is currently in transit from Australia to the US. It should be here in early February. Stay tuned for additional updates.